Every teen and preteen wants to know how to make money as a kid. Perhaps you’re an entrepreneur or small business owner yourself. Maybe you just want your kids to be financially literate at a young age and prevent them from becoming a scary financial statistic. Or maybe you’re an educator with a passion for helping kids embrace their unique skills and creativity. Whatever your motivation as a parent, uncle/aunt, family friend, teacher, or other awesome adult, this article looks at practical ideas and considerations to help adults-in-training learn about money by making some of their own. From a lemonade/craft kombucha stand to an online services business, check out these great ways for kids to make money online and locally. Why Are You Trying to Make Money? What Will Your Earnings Go Toward? How Much Time Can You Spend Working? Plan the Work, Work the Plan! When children start asking about ways to make money as a kid, it’s the perfect opportunity to teach them critical financial skills. This includes both the practical side of money, like how to count and manage it, as well as entrepreneurial resources to help them learn about business and how to bring their creative ideas to life. In order to start a successful business or money-making venture, it’s important to have at least a basic understanding of the fundamentals of finance. JA More than Money® is a great place to start. This program teaches third- to fifth-grade students financial literacy and entrepreneurship, money management skills, and more. You can probably skip the lecture on compound interest for now, but you’ll want to prep together with your intrepid business operator by covering a few things. Below are some additional resources to help kids understand money a bit more clearly in the context of owning and operating a business. The Acton website has a variety of resources for budding entrepreneurs, from success stories to business ideas to guides and entrepreneurship games. The Acton Children’s Business Fair is a free program where kids come together and share their entrepreneurial endeavors. Search their locations to find an event near you. If there isn’t one in your area, you can start your own — just apply to receive your free Launch Kit. Junior Achievement is an organization I’ve personally volunteered with and adore. Their programming encompasses entrepreneurship as well as financial literacy and workforce readiness, all in the name of preparing kids for adulthood and basic money management. I taught high schoolers in a Business Communications class where I live about applying for jobs, career planning, and basic interviewing skills. Kids were glowing as they asked me about my experience being self-employed. After you’ve covered the basics of money and entrepreneurship, the next step is to outline your goals and create a plan to accomplish them. This is going to determine how you approach this whole business/entrepreneurship experience. Before you jump nose first into selling widgets, walking dogs, or mowing lawns, it’s good to have a specific goal in mine. Are you saving up for a new phone? How much will that cost? How much money per month do you need to keep up with video game releases? 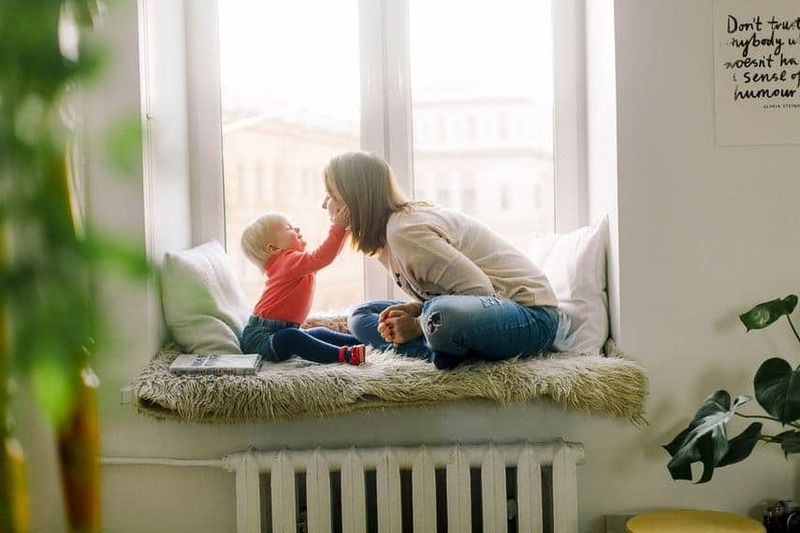 Knowing the answer and having a specific goal in mind will help keep you (or your little one) motivated when you might otherwise want to fold. The other major factor to consider is how much time you can dedicate to your money-making plans. A few hours several days a week after school each day might be doable, or several hours each day if school isn’t in session. Decide what days and times to set aside for your project, then stick them on the calendar. Drafting a business plan may conjure images of documents a hundred pages long. For our purposes here, that’s a bit over the top. However, arguably the most important part of this process is developing skills: goal-setting, planning steps to accomplish goals, earning money, responsibly spending (or saving) money, and so on. Take the time to draft a simple 1-2 page document about your business, including its mission, goals, and how it makes money. It doesn’t have to be complicated; the purpose is to practice planning and critical thinking. Kids (and adults!) can keep things simple using this handy, free tool: Lean Startup Canvanizer. Now for the fun part — the ideas for making money! Here are some great ways for kids to make money at home or in your neighborhood. First up, let’s take a look at some of the classic ways for kids to make money by selling services. 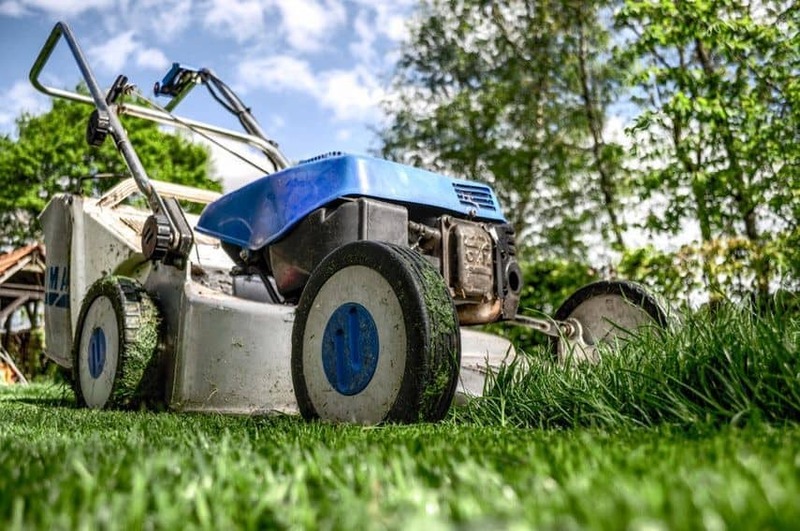 For as long as kids have been hustling to earn a few extra bucks from neighbors, they’ve been mowing lawns. The national average rate for this service is $50-$225 per yard. Obviously, the bigger the yard, the more money you can make. Pulling weeds out of flower beds or gardens might be another prime area to offer your help to neighbors. Similarly, offering to water and pick plants for families or older neighbors is a great option that doesn’t require a ton of effort or expertise. But it could be the difference between an entire garden dying or thriving if a family is gone during the hot summer months. Another option in this category is house sitting. This gig is definitely for more mature teens. Given that it mostly involves fetching the mail and watering houseplants, there isn’t a huge time or skill requirement. That makes housesitting a perfect idea for how to get money as a teenager. Manual labor is something people will often happily pay kids to do for them. At $80+ per surface, there is definitely money to be made in these areas. Depending on what equipment is currently at your disposal, there may be more startup costs to this one than some of the others on this list (something to add to your business plan). Like lawn care services, teens have been offering babysitting services to their neighbors virtually forever. The national average hourly pay to watch one small child is $16.43, but this May, Fortune boldly stated most parents are underpaying for this service. Typically, the more experience you have, the more you can charge for your services. Likewise, training and certifications can bump your rates and set you apart from other babysitters. At the very least, consider getting certified in CPR for this one. Teens 14 to 17 can start booking clients on Care.com with adult supervision. This is one of the most popular ways for kids to earn money. 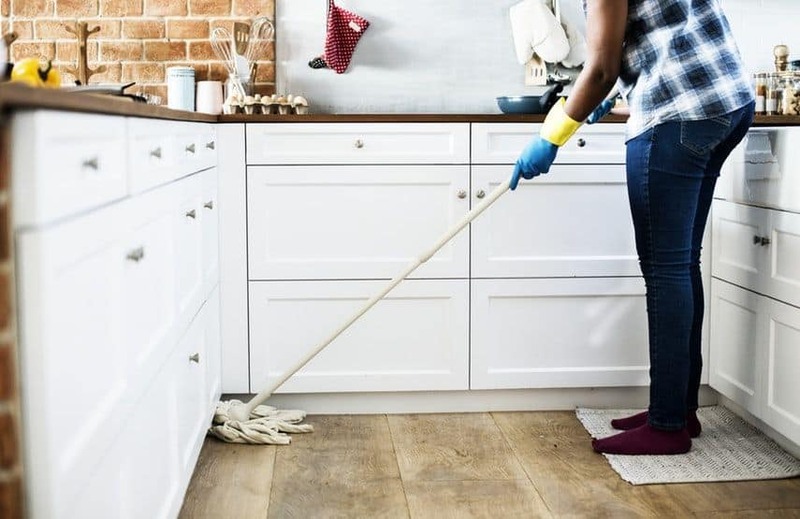 Cleaning is dirty, time-consuming, and everyone’s least favorite chore. That’s exactly what makes it a great candidate for a successful kid’s business. The national average rate for a professional cleaning service is $150+. If you book two houses each week, your business has the potential to generate over $1,000 per month. This business model also has the potential to scale quickly if you decide to hire some of your friends or classmates to help out, making this one of the best ways for teens to make money. Rover is my favorite way to find pet sitting gigs, but the minimum age requirement is 18 years old. However, petsitter.com has a minimum user age of 13. Many pros charge $10-$30 for a 30-minute visit and a brief walk. 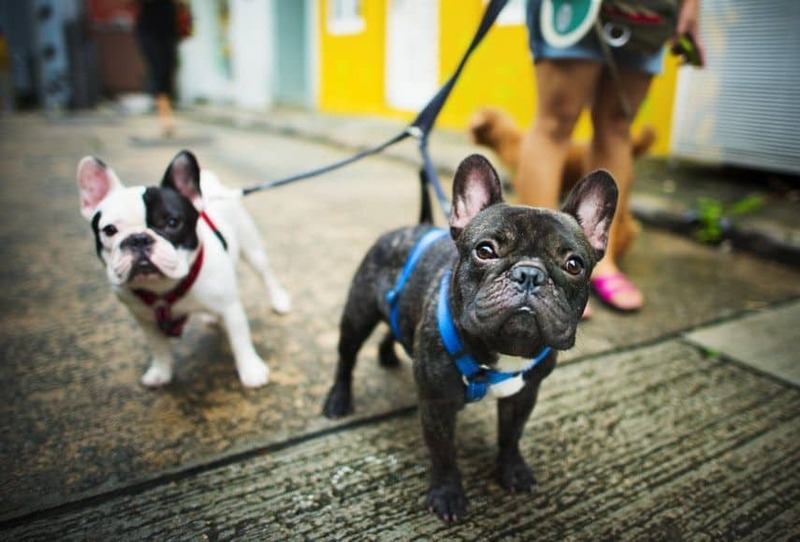 If you walk multiple dogs, you can charge an extra fee per pet (usually about half the full amount). So, for example, if you charge $20 for the first dog, you might charge $10 for each additional pet. That brings the total to $40 for three dogs in the same home. Whether you get around on foot, skateboard, bike, or car, you can make money running errands for busy people. In the fall, parents are busy trying to get into the swing of things for the school year. During the holidays, it’s even more manic with party planning, travel, family visiting, etc. As with the power washing, which many people are willing to pay someone else to do, running errands is nobody’s idea of fun. You could charge a flat fee per errand or an hourly rate of $10+ depending on what’s involved. Senior citizens especially need help from trustworthy kids since it can be difficult for them to get around alone. Paying professionals to clean gunk out of consoles and wipe down dashes gets pricey. Rates often range from $50-$150 for full detailing, meaning you could make upwards of $500 in a weekend if you booked a handful of clients. One way to increase your client base is to offer discounts for referrals — if one of your clients refers you to their friends and family, they get a deal on their next service. Kids are constantly outgrowing their things — toys, clothes, games, etc. This provides the perfect opportunity to make some extra cash without selling services. Old iPhones in good condition are still surprisingly valuable. Other toys and gadgets — like Legos, DVDs, video game consoles, and collectible cards (Pokemon, Yugioh, etc.) — are worth a lot of money to the right buyer. For movies and tech, Decluttr is an awesome, hassle-free way to make money online with things you no longer need. Facebook Marketplace and eBay are other great options for selling your unwanted goods. One of the fastest ways to make money with your old clothes is by holding a garage or yard sale. In addition to making money, this is also a great way to develop a kid’s project planning and management skills. Rather than selling just your own clothes, invite families in your neighborhood to participate as well. Offer to do all the sales, promotion, and planning work for a percentage of their total sales. The lemonade stand is the classic example of an entrepreneurial kid venture. You can certainly expect good results if you’re in a premium location. Kids might benefit from taking some creative 2018 liberties in offering things like kombucha, matcha lemonade, berry seltzer waters, or other similarly upscale offerings. You can also charge more for these premium beverages than your regular run-of-the-mill lemonade. Today’s younger generations are a tech-savvy bunch, which makes these side hustles and business ideas perfect ways for kids to make money. Social media has become a popular way for kids to make money these days, some by accident. Given that many kids already have an Instagram account, it’s the perfect place to start. The way to make money on Instagram is decidedly to become an influencer. As an influencer, companies pay you for featuring their products and services. Teens have gained hundreds of thousands of followers and snagged endorsements from multi-million dollar companies. If you prefer not to be in the spotlight and have a cute pet, create and grow an Instagram account for them instead. There are many happy pet owners who’ve made good money sharing their furry friend with the Internet. Doug the Pug is a great example. Don’t forget to use relevant hashtags with every post in order to grow your account more quickly. Also, tag brands you’d like to work with in order to get their attention. This will put you on their radar for when you’re ready to start accepting paid sponsorships. 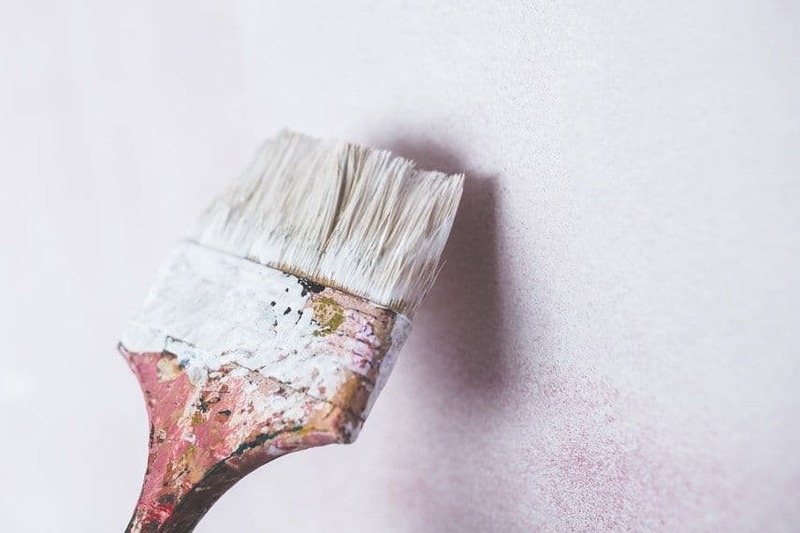 If you have a knack for the creative, then these side hustle ideas are meant for you. The minimum age requirement for Fiverr is only 13, making it a great option to get money as a teenager. You can sell services starting at $5. Popular categories include graphic design, marketing, fun and lifestyle (including relationship advice), and writing. The real opportunity to make significant money on Fiverr is by offering premium services. For example, if you offer 3 Personalized Tips for Texting Someone You Like for $5, you might offer a package on How to Ask Someone to Prom for $30. Cafepress is a great place to start a tee-shirt business. Do you remember the What Does the Fox Say videos and merchandise? Sites like this sold tons of products with fox images and blurbs from that viral video. If you get in on the ground floor of something popular, you could make big money with your design. Etsy is full of opportunity for creativity and making money as a kid. You could sell anything from custom jewelry to ink prints to vintage yard sale finds. Check out online tutorials to learn how to ace their platform as a seller. The average sale price on Etsy is in the ballpark of $25 per item. Similar to other sites on this list, the minimum age requirement for account owners is 18 years old. However, teenagers 13-17 can use Etsy as long as they have permission from and are supervised by a parent or legal guardian. Whoever is supervising them needs to be the actual owner of the account. The earlier you start teaching your kids the value of money and how to manage it, the better prepared they’ll be for life as an adult. The sooner you open their eyes to all of the different jobs for kids available, the sooner they’ll learn about financial responsibility. By introducing them to unique money making ideas for kids, you’re also showing them there are more options than the traditional path of going to college, getting a job with a big company, and working for someone else. You’re empowering them to be creative thinkers, leaders, and future entrepreneurs. How have your kids made their own money? 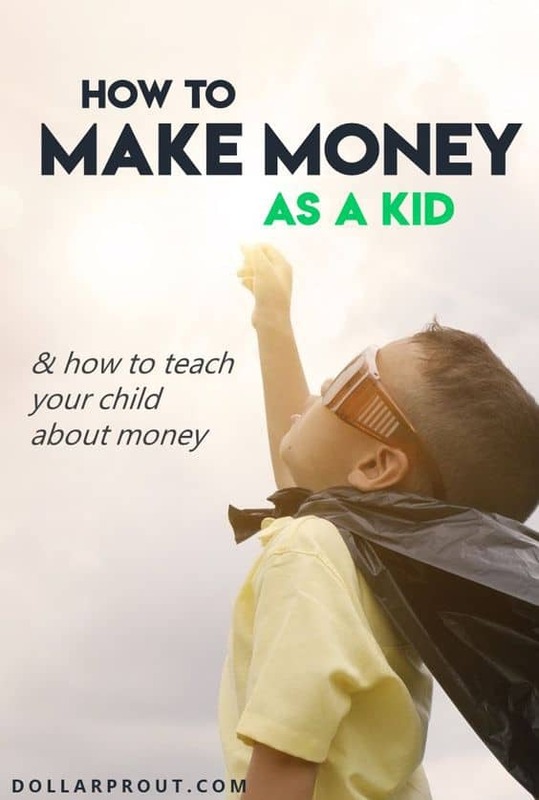 Share your favorite ideas on how to make money as a kid in the comments! Newlywed coach with a Master’s degree in Counseling Psychology + specialization in financial wellness for millennial couples. Boilermaker, former Air BnB Superhost, clumsy yogi, tech lover, aspiring whiskey snob, and Heath bar addict. Currently living in Bourbonland, USA (aka Louisville, KY) and tweeting @millerannette. Nowadays, teenagers only think about money, anything is always associated with money, they think that school is only for making money, without thinking of anything else. In fact, far more than that education is everything, thinking about the future by taking education will make someone successful at a young age. As parents and educators, we really have to teach this way of thinking to children. This is certainly important to foster a creative spirit, enthusiasm and hard work from a young age. Your writing is very special, I like reading articles that can help me be inspired, especially in the world of careers and education. I agree a lot with the cleaning service one.